"Welcome to the Woods", three layer carousel book with six spreads. Pages were risograph printed at the Maryland Institute College of Art in red and blue, covers were letterpress printed with polymer plates. Unopened 5 3/8" x 4" x 7/8". Edition of Five. December 2018. "Long Coat for a Long Coat Lady", Piecework and freehand embroidery on various fabrics. In this piece I create a cape for myself and bring the figures I draw into the physical world, April 2018. 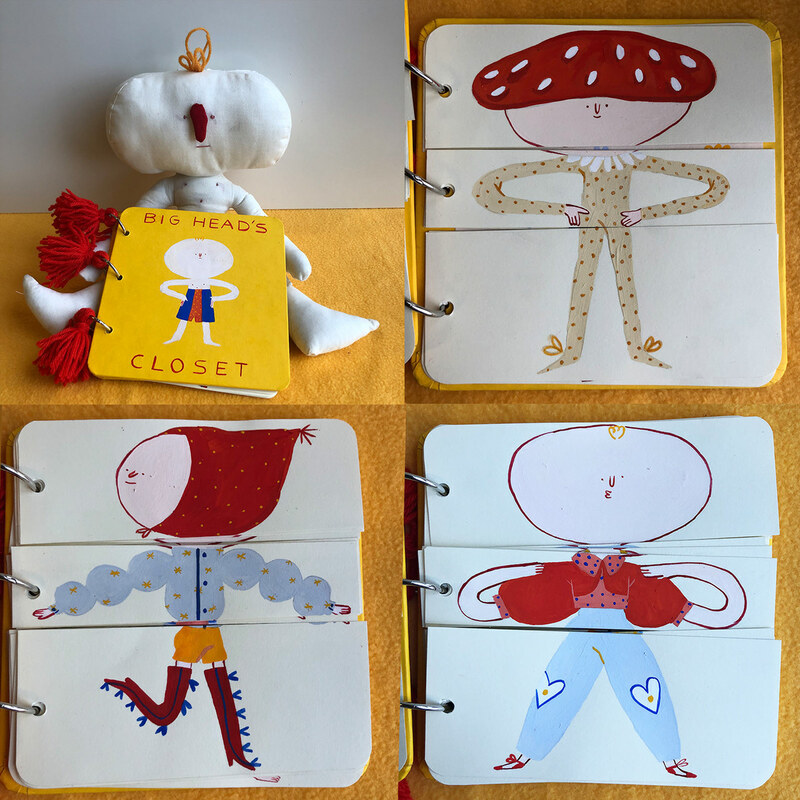 "Big Head's Closet", Big Head is a fashionable boy, mix and match fifteen of his best looks. Book: Gouache, Book Board, yarn, drawing paper and binder loops, unopened 7 1/5" x 7 1/5". Plush: found fabric, embroidery floss and yarn. 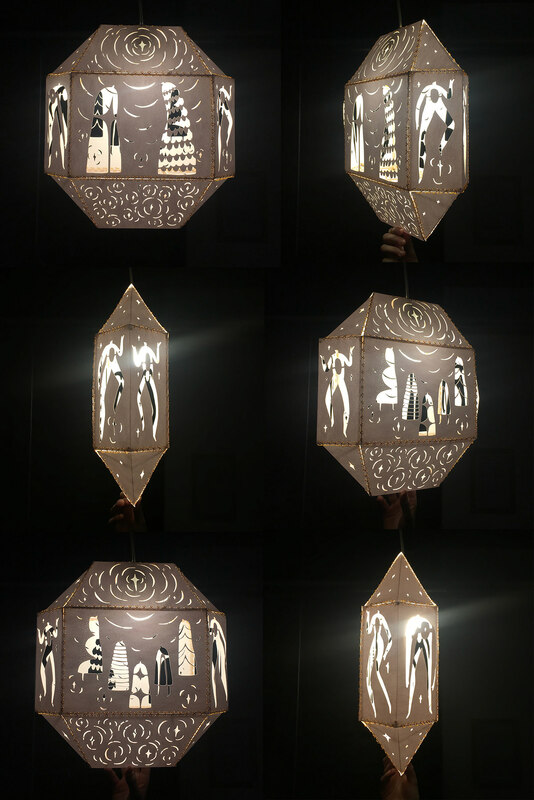 "Under Stars Lantern", Cut Bristol paper, bound with book thread with a balsa wood frame, February 2018. Tapestry Weaving, various yarns and found material, April 2018. "Do you Need a Hug? ", Tunnel Book, pen and cut paper. Unopened, 7" x 8" x .33", October 2018.